Well, you see, I was bored and wanted to do something easy. Butterflies are easy for me cos I've made so many of them. They are still very pretty though. I make them with so many different types of paper, all different colors and patterns and they all look great. 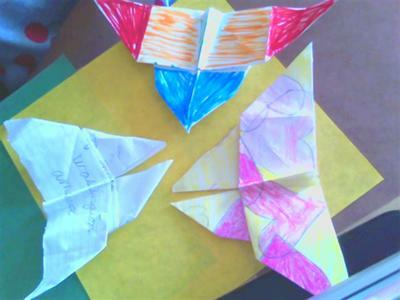 I get my friends to make them too, everyone loves making butterflies in bright and lovely paper.